I am comfortable working with athletes at any running distance between 40 yards up to the marathon. I offer a variety of coaching services. These range from training schedule design to comprehensive coaching and consultation for almost any length of time. Please contact with questions and for pricing. I ran track and cross country in high school, college, and at the post collegiate level. I competed at events from 800 meters to marathon. I began coaching in the fall of 2000 at the collegiate level. I worked with cross country and distance athletes at Greenville College, in Greenville, IL. In 2005 I moved to Boulder, CO to pursue a running career in a more focused way. 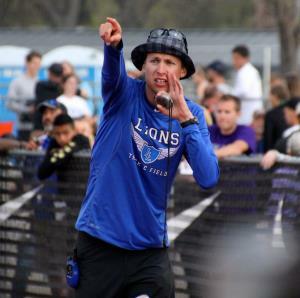 After retiring from competitive running in 2010, I began coaching at Lyons high school with the track & field and cross country programs. Most recently, in the fall of 2017 I was brought on to the staff of the Roots Running Project in Boulder, CO. I currently oversee a group of high level distance athletes and spend one day a week with the high school team. I have a USATF Level II certification for the endurance events and a USTFCCCA specialist certification for the jumping events. I am also a licensed massage therapist. As a general rule, my approach to coaching is comprehensive and individualized. I prioritize staying heathy and value consistency. I enjoy helping people improve at endeavors that add value to their life. Success. Coach Jeffrey Boele has been notified of your message. To hire Jeffrey Boele as your coach, select the coaching service that is right for you.